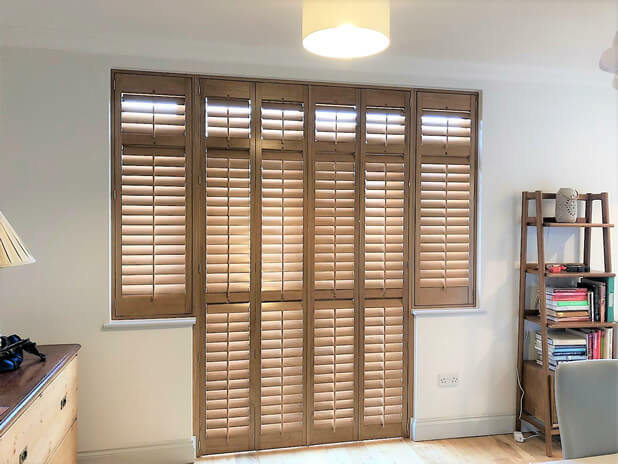 Ben was in one of our local areas of Croydon to install these hardwood shutters for a client’s kitchen area. 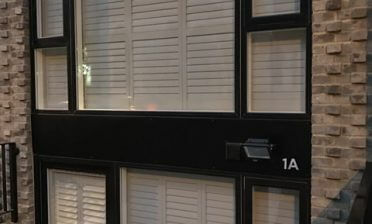 The customer required shutters for not only windows, but also door areas and a combination of both! This required us to take highly accurate measurements of the different areas and design and install around them millimetre perfectly. Something that just can’t be achieved with off the shelf shutters or other window dressings! 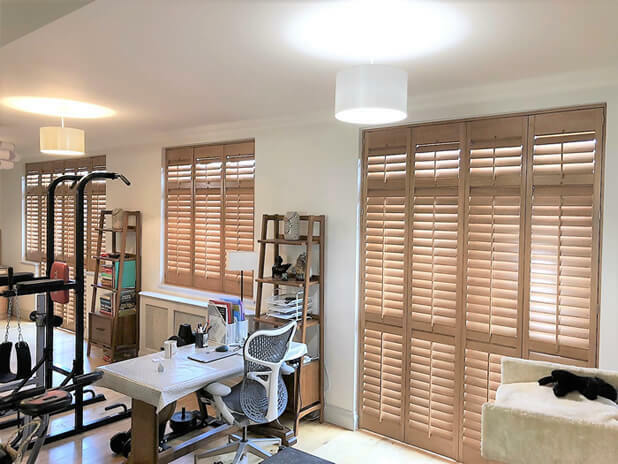 All the shutters feature hidden splits in the panels so that the different areas can be adjusted separately, as you can see from the pictures. 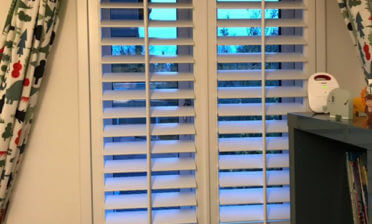 Adjustment is made through tilt rods over each panels which gives a lovely traditional look. We combined this with plain stiles which create a minimal look to the framing. 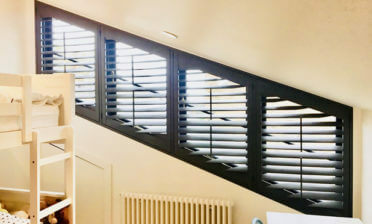 The full height shutters feature 76mm louvres, our most popular slat size and helps to brighten up the whole room perfectly, while also maintaining the levels of privacy wherever is needed in the room, also aided by the invisible mid rails. 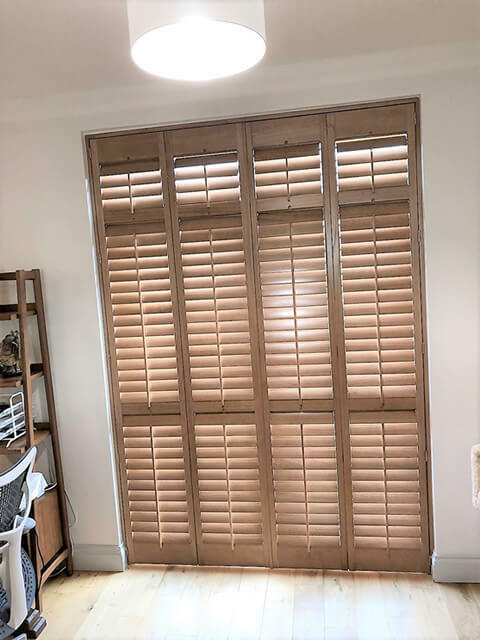 The shutters were finished in frank oak stain which exactly matches the clients kitchen counters and furniture, one of the requests of the install.